We’re onto another part of our series on Understanding the Italian Menu. Today, we’re chatting all about Primo. What is this course without a delicious plate of homemade pasta? As the first course of a traditional Italian meal, the primo generally consists of a meal that’s not meat. Pasta, soup, lasagna, or risotto all qualify for a delicious portion of primo. While being light enough that you can dig into a piece of juicy steak or tender chicken afterwards, it must also be something to keep you satisfied. Even after your heaping pile of antipasto, because we know you can’t help yourself to those mouth-watering appetizers. If you’re really big into the antipasto and il secondo, you may be looking for a slightly lighter primo, in which case, look no further than a hearty bowl of soup. A minestrone complete with beans, potatoes, mushrooms, and vegetables is both salty and texture packed. Another option is Italian wedding soup, featuring meatballs, spinach, and ditalini — another staple of the primo course. At Mortadella Head, if pasta is what you’re craving, you have every option in the world. With a choice of rigatoni or tagliatelli, and a variety of sauces to choose from, you simply can’t go wrong. A vodka sauce is perfect for a simple dish. The bolognese hits the spot when you’re craving something a little heavier. Pesto is our personal favorite because it’s the spot-on combination of fresh basil and nutty pine nuts with smooth olive oil. Still in the pasta category, lasagna stacks up plenty of tasty points with its layers. Whether meat-filled, eggplant layered, or simply ricotta stuffed, a lasagna will always get the job done. Of course, if all else fails, a creamy risotto is just right for a big bowl of rice. 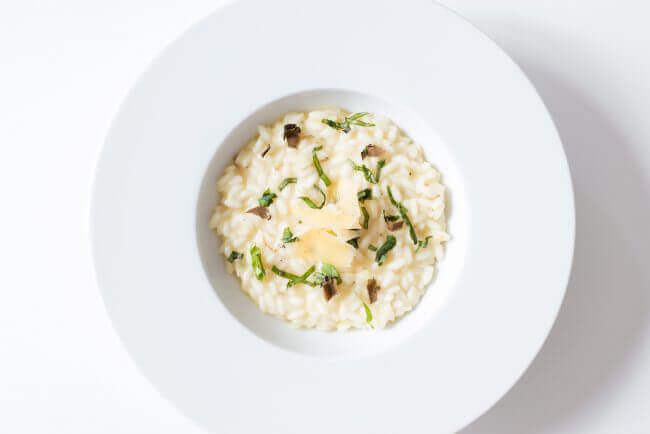 Prepared with parmesan, onions, butter, and broth, risotto makes for such a simple yet dynamic and filling meal. For a burst of freshness, topping it off with basil ties everything together and prepares your palette for the next course, il secondo.